Your favorite family videos still on VHS? Want to have a trip down memory lane or leave a legacy of family history to your children? 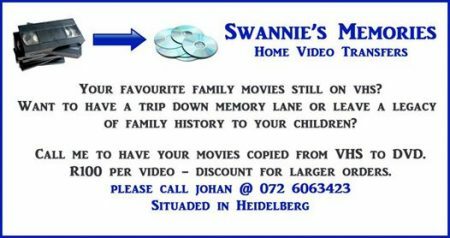 Call me to have you videos copy from VHS to DVD. Discounts for large orders.